Did Zuma stash secret funds to establish Amcu’s rival union? A shadowy network of intelligence agents and contracted operatives closely linked to President Jacob Zuma has, in four years, undertaken at least two covert projects to further his interests. The State Security Agency’s (SSA’s) Special Operations Unit (SOU) in 2011 recruited a former apartheid-era spy to travel to Europe to source sensitive reports detailing dodgy payments to prominent ANC figures linked to South Africa’s multibillion-rand arms deal. Two of the reports obtained by the former spook and handed to his SSA handler were later controversially barred as evidence by Judge Willie Seriti’s arms deal commission. City Press’ sister newspaper, Rapport, also uncovered evidence of the involvement of SOU-linked spies in the formation of the Workers’ Association Union (WAU), established to reduce the power of mineworkers’ union Amcu on the North West platinum belt. Both operations required the use of state money and resources and, in both cases, Zuma himself appears to have played a key role. City Press reported in April that WAU founding member Thebe Maswabi instituted a civil claim of R120 million against Zuma, State Security Minister David Mahlobo, two other national ministers and the acting police commissioner. Maswabi alleges Zuma told him to form the new union, but then government stopped funding him, leaving him in serious debt. Maswabi said he had “several meetings” with Zuma, including one in the UK. Maswabi said the WAU, launched in Rustenburg in March 2014, had a “strict mandate to disempower Amcu by drawing members from it”. He maintains he was “well taken care of by Zuma and his people”. “I could name the car I want, any SUV, and get it delivered and the same happened with loads of cash, which was handed over to me whenever I needed it,” he said. But matters turned when “Zuma and his people” cut ties with him and stopped taking his calls. » A cellphone number listed as one of the WAU’s contact numbers on the official labour department union registration document belongs to Yekani Monde Gadini, husband of Zuma’s legal adviser, Bonisiwe Makhene. Gadini is an SSA operative who once boasted about his “open access” to Mahlobo and at one stage received hundreds of thousands of rand from the SSA for his intelligence work. He put down the phone when approached for comment and did not respond to the queries sent by email. » Former WAU members provided the newspaper with the cellphone number of a man with “expensive shoes, nice clothes and an expensive car” who allegedly came to help find new union offices. The number was traced to Mthuzimele Peter Silenga, a former National Intelligence Agency agent who went on to work at the SA Revenue Service’s (Sars’) segmentation and risk unit. Silenga’s Sars boss was Mandisa Mokwena who, in 2014, was reported by City Press as being a member of the covert SOU. Mokwena is a former business partner of First Lady Thobeka Madiba Zuma. Silenga did not respond to requests for comment, sent via SMS, and did not answer his phone. Former WAU members say when they asked where the new union’s money would come from, Silenga told them “the minister” would take care of it. The tale of the SOU’s involvement in tracking sensitive arms deal documents is rooted in another civil claim lodged in 2013 against Zuma; Mahlobo’s predecessor, Siyabonga Cwele; presidency director-general Cassius Lubisi; and SSA director-general Dennis Dlomo. Apartheid-era spy Riaan Stander alleged that in late 2011, Thulani Dhlomo, whom City Press also identified as an SOU member, approached him to work for the SSA. According to court papers, Dhlomo allegedly told Stander that he represented Zuma’s interests and wanted Stander to investigate issues around the arms deal. This meeting took place shortly after Zuma announced the formation of the Seriti commission. In early 2012, Dhlomo instructed Stander to travel to Europe to source two key documents detailing German arms manufacturer Ferrostaal’s role in the arms deal saga. Ferrostaal had earlier commissioned German law firm Heuking Kühn Lüer Wojtek and the US-based law firm Debevoise & Plimpton (D&P) to compile reports detailing the company’s possible liability in its weapons contracts with various countries, including South Africa. The reports, parts of which were later leaked, indicated that several senior ANC members and others benefited from dodgy payments and offsets deals directly linked to Ferrostaal’s deal to supply South Africa with new submarines. According to the D&P report, the company set aside R300 million to influence “senior politicians”. Rapport’s sources said Stander sourced both Ferrostaal reports and gave them to Dhlomo. Seriti later ruled that these documents could not be submitted as evidence because Ferrostaal refused to waive its legal privilege over them. 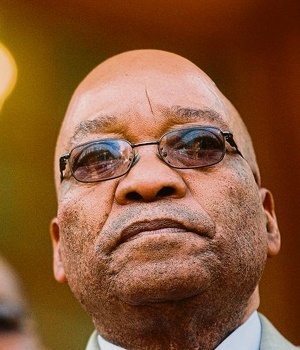 Stander took Zuma and the others to court in May 2013 in a dispute over payment and the claim was settled. “I do not wish to comment on this matter at this stage,” Stander said this week. Zuma’s spokesperson, Bongani Majola, his lawyer, Michael Hulley, and other presidency officials did not respond to calls or SMSes.